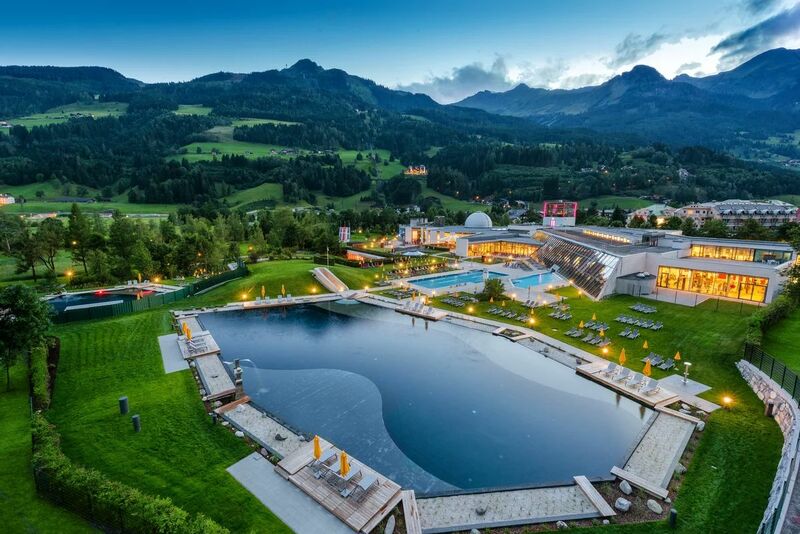 The different areas of the Alpentherme Bad Hofgastein spa resort offer fun and relaxation for the entire family. The unique Gastein cure uses a combination of radon, warmth, and altitude. Sessions in the Gastein healing galleries, thermal water baths, and a steam bath help provide lasting pain relief for many illnesses, and help with rehabilitation after injuries. The therapy treatments in the Gastein thermal spa center as well as in the Gastein spa and rehabilitation center (Alpentherme) are optimally suited to your needs. In the Gastein Heilstollen galleries radon, warmth, and high humidity create an generally unique, healthy climate. They are most easily reachable by car, public bus, or Heilstollen taxi.